Mobile computing isn’t a luxury anymore — these days, having ready access to a laptop is a flat out necessity. Whether you need to edit video on the go, email your boss, play games, or just keep in touch with family, performance and portability come together when you pick the right notebook. Although prices have come down, laptops are still a big investment. That’s why you should be confident that you’ve found the perfect laptop to fit your needs and budget before checking out! From start to finish we’ve got a full guide to walk you through every aspect of the buying process. 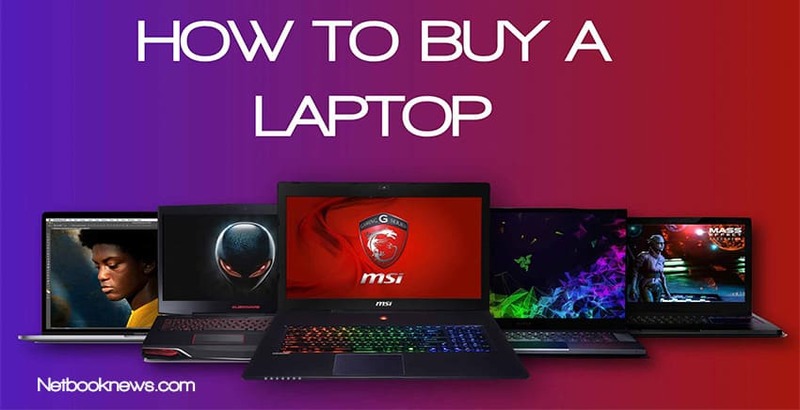 How much should you spend on laptop? Look for any device rated in the 8 – 10 hour range for battery life. Pick a model with a screen in the 12 – 14 inch range for the most portability and lightest carrying weigh. Go with a hybrid 2-in-1 model or anything with a detachable keyboard if you need a touch screen and want more portability. To save more money, pick a clamshell instead. A minimum of 3 USB ports and an HDMI is standard, but if you don’t mind using an adapter a single USB-C port can work as well. Picking a Chromebook is the perfect choice if you want a cheap machine mostly for web browsing and using some light apps. Selecting a Windows 10 device is the way to go if you need a broader suite of programs or want to game. Buying a laptop with the Mac OS is a great option if you want high build quality and don’t care for all the bloatware that comes with Windows. To spend in the $200 – $500 range, expect a budget machine for web browsing and word processing only and don’t accept anything with less than 4GB of RAM. Make sure to get at least 500GB of hard drive space, unless you are picking a Chromebook with a smaller SSD. To buy a mid-range device in the $600+ tier for other uses, don’t accept anything with less than 8GB of RAM and make sure to buy a faster SSD instead of a standard HDD. Stick with an Intel Core i5 or better processor and look for a full HD screen with 1920 x 1080 resolution. To buy an $800 – $1500 high end laptop for gaming or video editing, make sure the device has a built-in graphics card that’s at least a GTX 1050 Ti or better. On the RAM front, 16GB of RAM should be your minimum and an Intel Core i7 processor is ideal. Finally, make sure you either get a large SSD, or a 128GB SSD with a 1TB HDD for extra storage. 1. 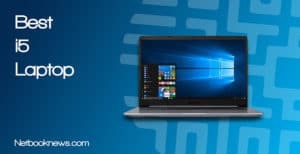 How Much Should I Spend When Buying A New Laptop? For the adventurous who aren’t averse to potentially sending a machine back for repair, don’t forget you can often find refurbished units for sale online. 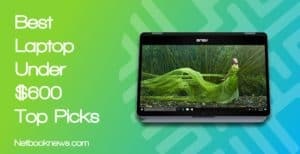 Unless you’ve found a killer Black Friday style deal, anything under $300 is probably going to be a Chromebook or a refurbished Windows machine. For Windows, don’t accept any model with less than a 500GB HDD and 4GB of RAM in this price range. 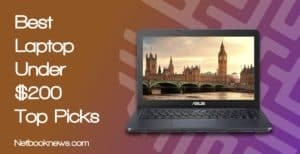 For a Chromebook at this price range, you want a 16GB or 32GB SSD. Most will also have 4GB of RAM, but there’s more wiggle room here. This is still the in the “budget” range, but here you start to find some better features. In most cases, 4 – 6GB of RAM is the maximum you can expect here when buying a new machine instead of going refurbished. That means your top priorities should be in getting the best CPU, most hard drive space, and finding extra bells and whistles. Be on the lookout for trade offs here to find specifically what you need. For instance, if you prefer speed over storage space, you an often find $400 – $550 laptops with 128GB SSDs instead of the typical 1TB HDD. Here you should expect high speeds and top build qualities, with a few extra features on top. These machines are for more than just web browsing, and they shouldn’t experience any major slow downs when using multiple programs. Minimum of an Intel Core i5 processor. At this price point, don’t accept any trade offs in features and make sure you get everything you want. The only exception to that rule is if you are picking an ultrabook, which offers thin, ultra lightweight designs by culling out a few features. You should always get something extra at this range above and beyond what the budget options offer. For instance, make sure you find a backlit keyboard, touch screen, or special hybrid design. 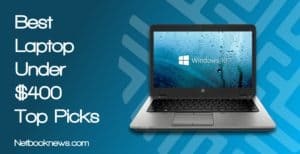 Windows will often be your main pick, simply because it has the most options in terms of apps and programs. There are downsides of course, as Windows is a resource-hungry OS that frequently slows down while installing large update files. There’s no question that gamers or anyone using a laptop for business applications will want to go with Windows in the vast majority of cases, however. If you mostly spend your time online watching YouTube videos and browsing social media, you may be better served with the Chrome OS. Chrome also now has access to the full Google Play app store, which radically increases your options. Finally, the Mac OS is a solid alternative to Windows if you don’t mind learning a different system. If you use music or video editing software, Mac is an excellent option, and they are also much less prone to viruses and spyware. 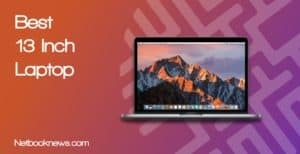 For the tech enthusiasts, MacBooks have a few features that Windows machines don’t normally offer, such as high resolution retina displays and the nifty Touch Bar. While the overall performance offered by the RAM and CPU will typically be the most touted factors, there are several other components you need to carefully consider. It’s important to keep in mind that as you go up in size, you also increase in weight and decrease in battery life. 17 inch screens are typically meant for gamers who don’t mind being plugged into a wall outlet at all times. For the best crossroads between battery life, keyboard size, and display area, we recommend 12.5 inch – 14 inch laptops. For true HD, we recommend going with the 1920 x 1080 option, but that may not always be available in budget models. If you have more money to spend, you can find even higher resolutions that are referred to as “retina,” 3k, or 4k. For those who frequently use touch screen apps, a hybrid 2-in-1 model can be a life saver. It’s super easy to flip around in tent mode to play a video for your friends. If you prefer to write with a stylus, you can’t beat the functionality of a full laptop that works as a tablet. Hybrids usually come in smaller sizes, but if you don’t mind spending more you can find 2-in-1 models with full 15 inch displays. When you use your laptop as a tablet more often than actually typing on the keyboard, we recommend getting a detachable model instead. No matter what style you go with, for the most durability be on the lookout for a laptop with a fully aluminum chassis rather than plastic, as they tend to last longer. Compact or “travel” style keyboards typically remove the Num Lock and 10 key segment on the right side entirely to save space. If you want maximum portability, that’s the way to go. Some users prefer a standard keyboard layout that’s more like a desktop experience, however. In that case, look for laptops with a full 10 key layout. These become increasingly rare as you go down in size, so you may have to go with a 14 or 15 inch screen to get the full keyboard. Higher end models also typically feature a backlit keyboard, which means each key is lit up. If you work late at night, this feature shouldn’t be overlooked, as it ensures keystroke accuracy. Finally, keep in mind the placement of the power button, which can vary between models. This is an issue of personal preference, but some users don’t like having the power button on the keyboard itself. The main thing to look out for here is whether the touchpad is centered, or offset to the left. This really only matters with full size keyboards where the 10 key segment is present. Take a look to see if the laptop touchpad features individual right or left click buttons. Some newer models ditch that design and instead use a streamlined touchpad with no buttons at all. These pads work the exact same way, but some users prefer the tactile sensation of the buttons and find it awkward to right click a streamlined touchpad. 3.5. How Much RAM Do I Need In A Laptop? The lower end of 4GB is quickly becoming obsolete, and is really only meant for budget machines that just browse the web. If you use nearly any type of software beyond just word processing or web browsing, we highly recommend bumping up to the 8GB threshold. If you want to future proof your machine against new software with higher requirements, 16GB is a solid investment. You generally don’t need 32GB or higher unless you are using CAD software or playing brand new games on ultra settings. 3.7. What Is A Good Processor Speed For Laptop? As you move up the scale, you can expect significantly faster speeds when installing programs or Windows updates. The price goes up correspondingly, however. For most users, we recommend a Core i5 of at least 7th gen to get the best combination of high speed and low power consumption. 3.8. What About Graphic Cards? 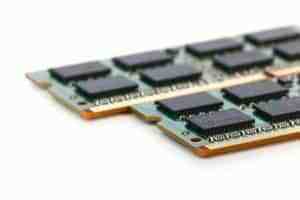 Finally, the type of video card will have a direct impact on how well the laptop can render graphics-intensive programs. While this mostly matters for gamers, a higher end graphics card may also be a requirement for CAD software or heavy duty video editing tools. In most cases, the 1050 Ti model will run the vast majority of games at decent frame rates. The main reason to bump up above that tier at this point is to buy a VR ready laptop. Battery life is a crucial component to consider when buying a new laptop. If you’re going to stick in one spot all the time, why not just buy a desktop instead? In general, gaming laptops will feature significantly reduced battery life over home or office models. ..to get the best battery life in the 8 – 14 hour range, be on the lookout for smaller, more compact models with less screen size..
To get the best battery life in the 8 – 14 hour range, be on the lookout for smaller, more compact models with less screen size. The less power that has to be used to keep a bright display running, the higher your battery life. Be careful when reading estimated battery life specs provided by manufacturers. They list high numbers based on simple web browsing with the screen brightness turned down. Make sure to read through the reviews from other buyers to find out what the real battery life will actually be! With so many online backup solutions available, and with USB storage so cheap, it isn’t as important to have a huge hard drive anymore. In fact, you may notice that laptops with smaller storage capacities tend to cost more. Why exactly is that? Because newer laptops use solid state drives (SSD) instead of the older hard disk drive (HDD) tech. SSDs offer significantly increased data retrieval speeds. If you want your laptop to boot to Windows in mere seconds, we highly recommend picking an SSD model. You can get the best of both worlds by booting to Windows on a 128GB or 256GB SSD, while using a secondary 1TB HDD for saving your larger files. Of course every laptop in this day and age should come with a WiFi card for connecting to any given wireless network. That isn’t your only option, however. Some laptops feature built-in Bluetooth adapters for connecting to external devices without using a cord. This can be extremely handy for streaming audio to external speakers for instance, or using a wireless Bluetooth mouse. Don’t worry if this option isn’t included however, as USB Bluetooth adapters are available very cheaply via Amazon. It may be hard to believe, but there are still other features to take into account for the best overall laptop experience! Notably, optical CD/DVD drives are rapidly becoming a thing of the past. You have to look hard to find newer models that include this option. Security features are instead becoming more prevalent. If you don’t want to remember another password look for models that have a fingerprint scanner and a lock slot. Finally, don’t forget to take note of the kinds of ports available! Some laptops won’t include Ethernet ports for wired connections, HDMI or VGA ports for connecting to external displays, or extra USB ports for other peripherals. Let us help you find your perfect laptop! If you’ve made it to the end of our buying guide, you should finally be able to answer the question “what laptop is best for me?” with a clear and definitive answer. No matter your budget or how you intend to use your device, the steps above should clearly break down every option you need to pick at each stage of the buying process. Still need more help or aren’t sure which specific model to pick? Leave us a comment below with a general idea of your needs and we can respond with a couple of the best models for you!